The sit-in by University of Malawi (Unima) support staff has left students stranded. 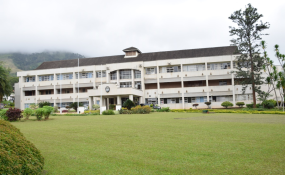 The University of Malawi (UNIMA) Council has bowed down to pressure and agreed to give a 10% salary increment to all support staff in the University. This was confirmed through a statement co-signed by the Council Chairperson Rev. Billy Gama and University Workers Trade Union (UWTU) President Mike Namandwa. "The University of Malawi Council is pleased to inform all staff, students and the general public that the issue of industrial sit in by the UWTU has been amicably resolved," reads part of the statement. The statement further states that the Council will give the increment with arrears from 1st June 2017. The UWTU has since agreed to return to work on Monday, October 22, 2018. Meanwhile, the Council has applauded UWTU for its commitment to resolve the dispute and for the spirit of discussions leading to the mutual agreement thereof.